Welcome to our Website dedicated to donkey training and driving, it has been designed as an expansion of our business Take The Reins (www.take-the-reins.co.uk) which provides horses/ponies/donkeys with everything related to Carriage Driving. My passion for everything eqiuine has been since childhood, although donkeys have only been part of our family in Hampshire since 1997. 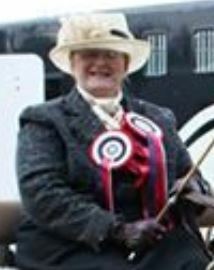 In recent years I have become involved in the sport of Carriage Driving and regularly compete in the Summer Show Season in either my Traditional 1911 Norfolk Cart or my Restored Butchers Cart. The key to be able to complete this is by training of the donkey, a donkey that has a job to do whether it is going out for a walk/showing in hand/long reining or driving is a donkey that is ‘very happy’.